Leave it to the folks at Purseblog to bring forth more temptation to my life. I have been dreaming of a red handbag.. and I've been really drawn to the "old lady bags", as my friends would say. 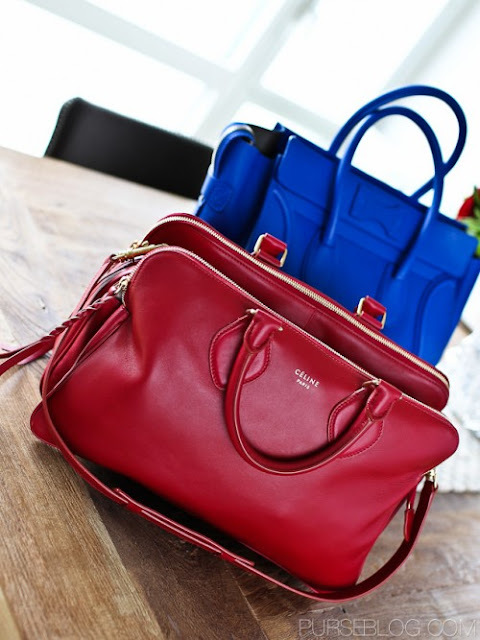 :) They've featured the sold out red Celine Tryptique satchel with the really popular Celine Mini Luggage tote in a gorgeous colbalt blue. That leather is just so exquisite. Check out their post to see more photos. You may find yourself going back to their blog on a regular basis it's so addictive!